Now, I know many banking/wallet apps check for root and you can easily trick them into thinking your phone in unrooted by using RootCloak and Xposed Installer apps. 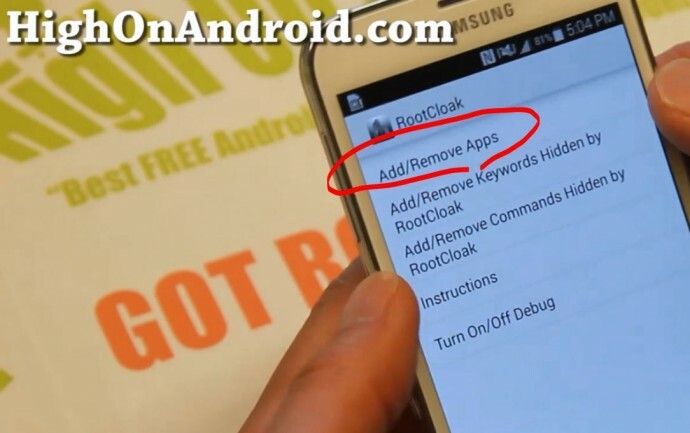 By using this app, you can keep your root but have the ability to specify which apps to keep root hidden from. 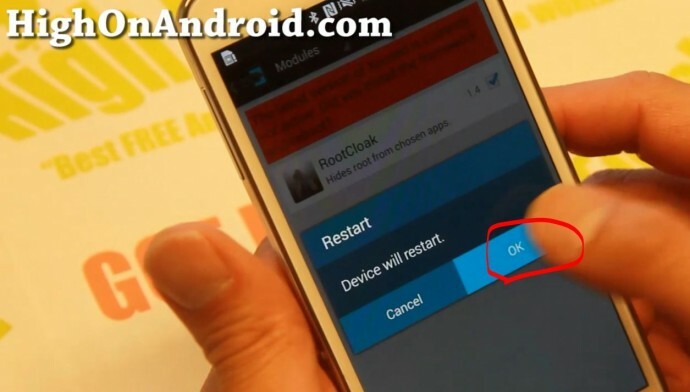 Most of banking apps in South Korea check for root and by using this method, you will be able to enjoy your root and apps that don’t normally run on rooted Android devices. Before we begin, obviously your Android device must be rooted, otherwise you wouldn’t even be reading this right now. 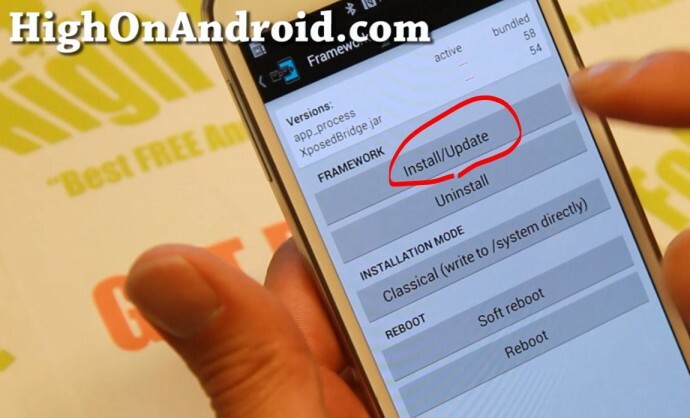 UPDATE: For Android Lollipop, please follow how to install Xposed Installer on Lollipop instead! Step 1. 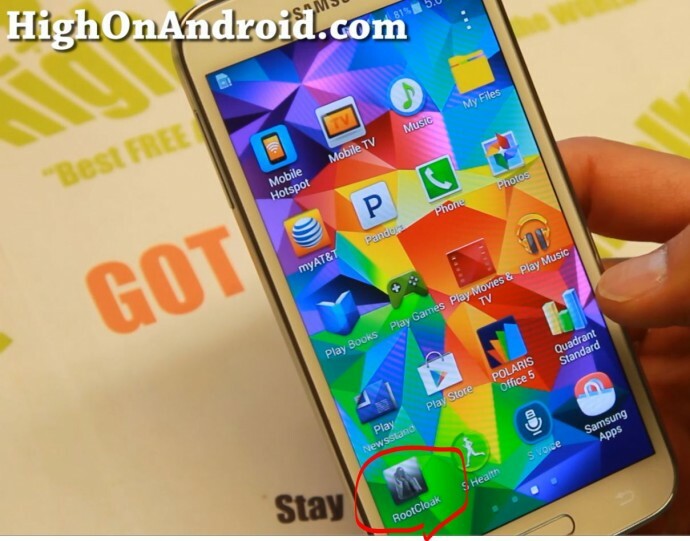 Download the latest version of Xposed Installer and Root Cloak apps. Step 2. Install both apps. You may have to check “Unknown Sources” in Settings->Security. Step 3. Run Xposed Installer app first. Step 5. Choose “Install/Update”. 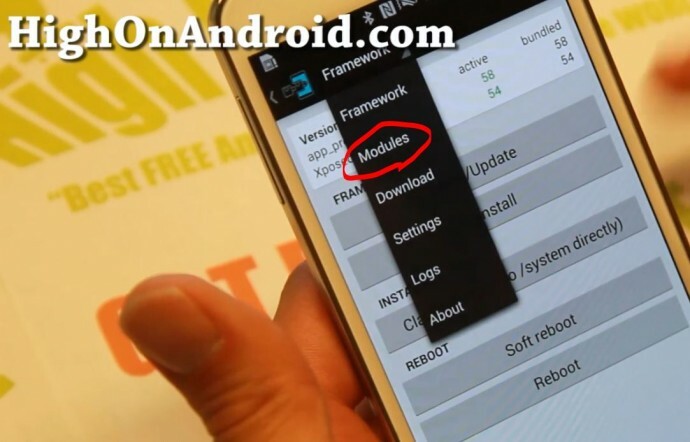 This will install the Xposed Framework, which will allow you to run any Xposed modules like RootCloak app. Step 6. Make sure you hit “Grant/Allow” when Superuser request pops up. Step 7. Don’t reboot yet if the app asks you, hit “Cancel”. Step 8. Next, choose “Modules”. Step 9. Make sure RootCloak is checked ON. Step 10. 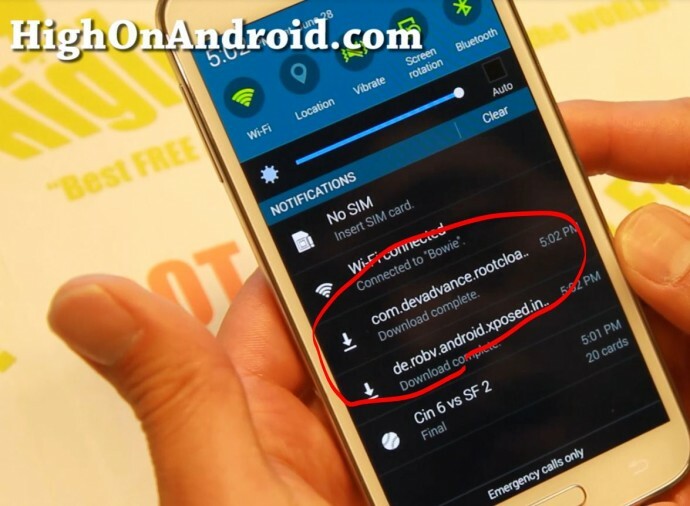 Reboot your Android device. Step 11. Once rebooted, run RootCloak app. Step 12. Choose “Add/Remove Apps”. Step 13. Browse through the list of apps and see if your app is already listed. In my example, ISIS wallet app for AT&T was already listed. Step 14. If your app isn’t listed, hit the “+” button then add the app you want to hide root from. Step 15. Open the app you previously couldn’t run because of root. Now it should run just fine. Step 16. 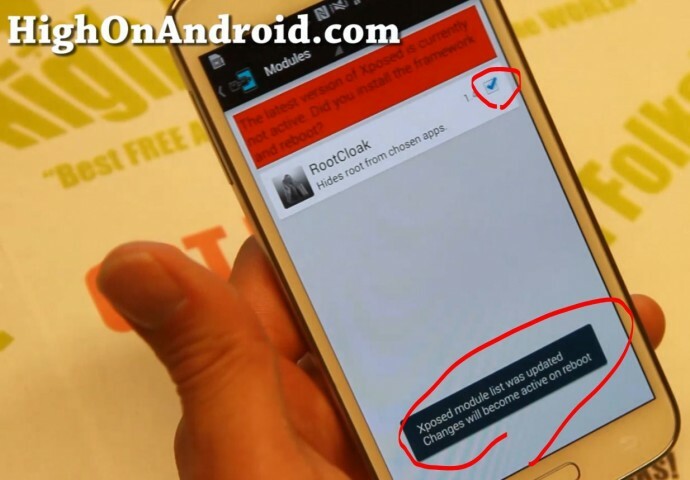 Next time you can’t run apps that check for root, don’t get mad, get even. Also tell your friends it’s okay to root their phone and run banking apps by using RootCloak. 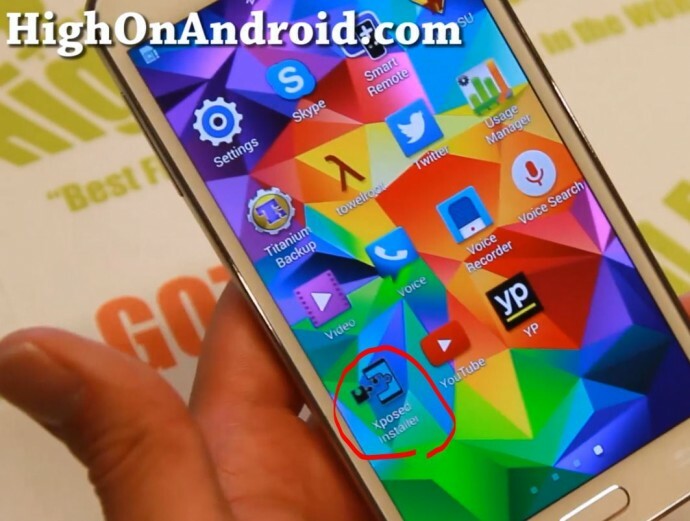 Q: What Android smartphone/tablet does this method work on? A: This method should work on most Android smartphone/tablet devices out there. So, just give it a go, it should work! SM-N9005 running Bobcat Rom v9 Barclays banking UK will still not work done everything required even forced stop, still Barclays know it’s rooted………………….any idea? I have been trying for a long time with my s2 i9100 and my note 3 n9005. As it stands there appears to be no way of getting Barclays to work. And all google seems to do is confirm that. I will continue to look for a solution. slasher1986 thanks for the info, if you do find a solution please let me know. Figured it out… since stock is 4.0.4 (I know) it has a mount issue in xposed for ICS partitions. Actually there is a link http://forum.xda-developers.com/showpost.php?p=52292102&postcount=7 that clears it up!!!! Works like a Boss now!! The bank of scotland app asks for superuser access is this normal aye?? Yes some apps do by default it probably did to check if your phone is rooted or not. I’m running cyanogen mod on my Nexus 7. Bank of Scotland still knows that the tablet is rooted after I’ve added it to rootcloak. Is this because it has superuser access? Just tried this and it worked perfectly! Thanks! This is a nice write-up. However, I disagree with the assertions in your first paragraph. 2) Giving users full access to their devices does not make those devices safer; because most users have no idea what they are doing. You are handing them a nuclear weapon and telling them how much power and control they will have with it. 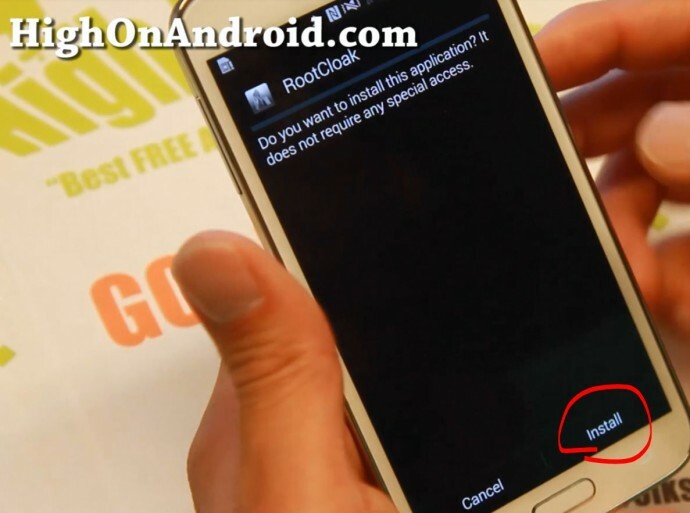 Root access on Android is generally used for Titanium Backup and to perform some customizations of the device. Users very rarely do anything with root that actually enhances security in any way. With that said, a lack of root access does not guarantee that malicious apps are not running on the device. Malicious apps do not necessarily require root access granted by the user. I’m sure there are some that exploit vulnerabilities in Android to do bad things. I’m also sure that there are some that incorporate something like towelroot to gain root access just long enough to install themselves as a system service. No manual rooting required. To sum up, I personally enjoy having root access on my devices. I do not believe that giving users root access is particularly more dangerous, in terms of security. (Don’t grant root to apps you don’t trust.) It is more dangerous in that they can do something stupid and break things. And it doesn’t do much to improve security either. is Barclay banking app working on rooted S5 phone. Please advise . Anyone have this experience? I hear Facebook can’t be forced to work on Rooted phones. ok. Well I just got facebook working. Still got the cloak, still got the xposed installer, but it looks as though it was a simple matter of my having disabled the wrong certs in security. The Digicert is the one to enable…I had mistakenly disabled the Digicert group and left the “Digital Trust” group enabled. If anyone’s wondering which certs work for which things, it can be a time consuming procedure to remove the certs that you never use (except in browsing which offers to accept them on the spot). as I say if anyone wants this i can save you some time. The Digicert appears to enable facebook. Google is the “Equifax” group and Twitter is the “Verisign” group of certs. Good news is you can disable every other cert and do most other things on your phone. After reading through some of the Google Play Store comments about the Facebook app and its recent updates I have decided that the problem is simply that Facebook designers are currently in the mode of deliberately making it difficult and frustrating to use, and spotty at best for logging in. Has anyone had any luck with this, can’t seem to figure out how to trick my bank app. keeps telling me cause of root i can’t use it. Yes, i followed all the steps above. Hey Max, been following you on YouTube for years. Love your videos! They’re very informative and your sense of humor is second to none! Thank you so much for all time & effort you put into your videos & websites. 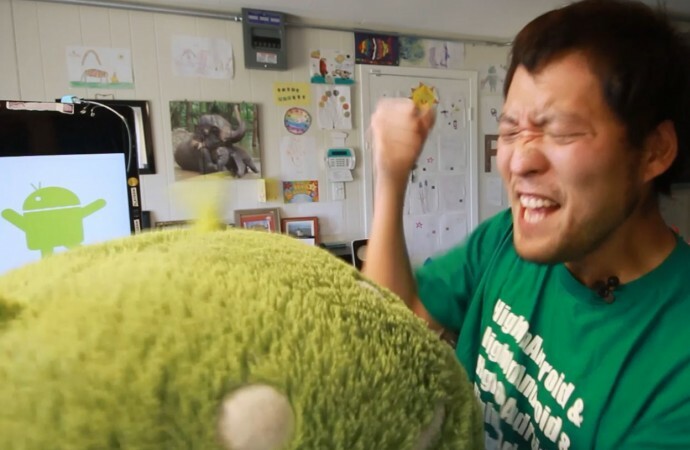 You probably don’t hear this enough, but please know that we appreciate all that you do for the Android community! Keep up the good work! I installed one. app scrilo it goes force stop. After adding in root look. Thank you. This works almost perfectly. Just one problem. After using it, my touch screen has started functioning a little slow. Hello and thank you for all the work you have done. Its nice to know someone cares enough for others to share their time and effort. I have done everything to get rootcloak working but I can’t add any apps at all to it to hide. I tried adding playstore first but every time I go to the apps page there is nothing there. So I tried adding different apps and still nothing. Its add to xposed and I restarted. I have jellybean galaxy s3 x3 (3 phones all the same). You have any idea why I can’t add an app? Thank you. 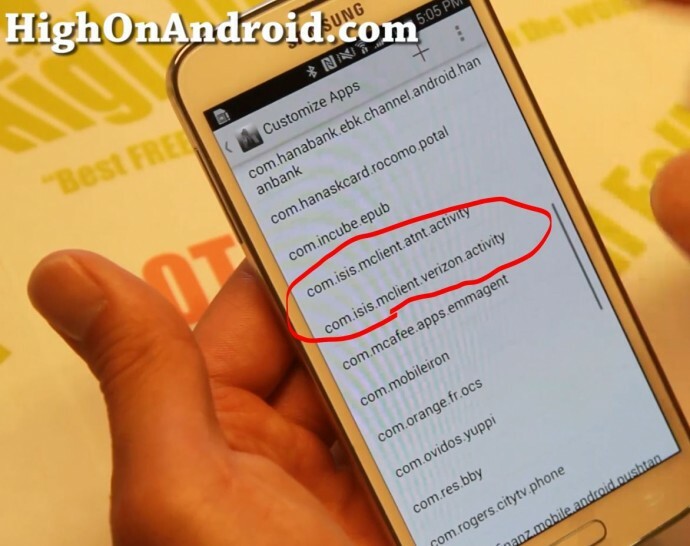 Previous story How to Fix 3G/4G LTE Data by Manually Setting APN on Android!